The initial public offer or IPO of Metropolis Healthcare opened today and the diagnostics company has fixed a price band in the range of ₹877-880 per share. The issue closes on 5 April. Metropolis Healthcare IPO consists entirely of an offer for sale of 1.37 crore shares. 3 lakh shares are reserved for employees. One of the promoters, Sushil Kanubhai Shah, will offload 63 lakh shares, while investor CA Lotus Investments, part of Carlyle Group, will sell 74 lakh shares through the IPO. The company will not receive any proceeds from the ₹1,200 crore issue. Currently, Carlyle group owns 31% stake in the company and the promoters the rest. After the IPO, the shareholding of Carlyle group would come down to 16.4% from 31% while Sushil Kanubhai Shah’s from 19.9% to 7.4%. The offering values Metropolis Healthcare at more than ₹4,400 crore. Metropolis Healthcare on Tuesday raised ₹530 crore by selling shares to anchor investors ahead of its initial share-sale. The company allotted 60,23,293 equity shares to 26 anchor investors at ₹880 per unit. Among the anchor investors are Small Cap World Fund, Fundsmith Emerging Equities Trust, Sundaram Mutual Fund, UTI Equity Fund, Edelweiss Crossover Opportunities Fund. The issue was subscribed 4% as of 3:4 pm today, according to NSE data. Elsewhere, the IPO of Rail Vikas Nigam Ltd (RVNL), which opened on Friday, closes today. The state-owned company is offering 25.34 crore shares at a price band of ₹17-19 per equity share. Metropolis Healthcare, a diagnostics company, has presence across 19 states, with operational network spread across 197 cities in India. The company offers a range of clinical laboratory tests and profiles used for prediction, early detection, diagnostic screening and confirmation and/or monitoring of the disease. 10% of Metropolis Healthcare’s offer is available for allocation to retail individual investors. Bidders whose bid amount for equity shares is not more than ₹2 lakh will come under the retail category. The lot size for subscribing to Metropolis Healthcare is 17 shares, meaning investors need to apply a minimum of 17 shares and multiples thereof. Link Intime India Private Limited is the registrar of the Metropolis Healthcare IPO offer. Shares will get listed on both BSE and NSE. The company is required to complete allotment within six working days from the IPO closing. Over FY16-18, Metropolis Healthcare total revenue witnessed a CAGR of 16.3% to ₹644 crore while net profit grew at a CAGR of 15.7% to ₹110 crore during the same period. EBITDA during the same period grew at a pace of 16.8% with stable margins at 26.8% (up 21 bps) in FY18, according to Centrum Broking. According the Centrum Broking, the issue is fairly priced and it recommends “subscribe for long term”. “At higher end of the price band of ₹880, issue is priced at 40.2 times its FY18 earnings which appears fairly priced. Further, Metropolis Healthcare also has better return ratio with RoNW (return on net worth) at 24.7% for FY18 vs. 21.6% for Dr Lal Pathlabs and 20.4% for Thyrocare Tehnologies. Given the vast geographical presence, diversified and large tests menu catering to several ailments, along with ability to capture future opportunities by way of presence in key growth areas, is likely to help Metropolis Healthcare maintain its position and boost growth,” the brokerage said in a note. Canara Securities also believes the issue is fairly prices. “In addition, the company is in the fast-growing healthcare Industry, particularly for the branded organized diagnostic companies. The company management is expecting a substantial increase in revenues from new centers. 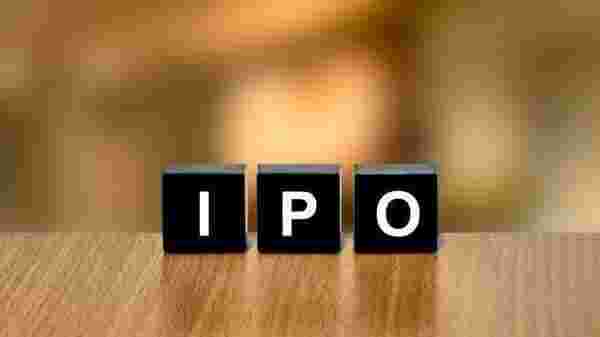 One may subscribe to the IPO for listing gains as well as long term gains,” the brokerage says. According the Centrum Broking, the risk factors include the diagnostics industry being highly-competitive and fragmented industry, challenges in entering new geographies, high level of regulations and high concentration to five cities that contribute about 63% to the total revenue.